Muvtons premium polyurethane treaded wheels 93° ±3° Shore A, firmly bonded to precision machined cast iron cores offer low rolling resistance, smooth & noiseless running are non-marking and floor protective. 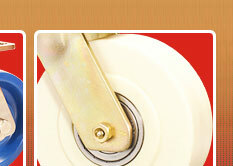 These wheels possess high abrasion & cut resistance and are resistant to tearing. Tested & guaranteed against bond failures. 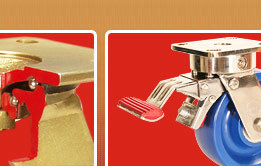 Wheel bearing options : Sealed precision ball bearings, tapered roller bearings or roller bearings, color, light brown. Temperature range : -20°C to +85°C. 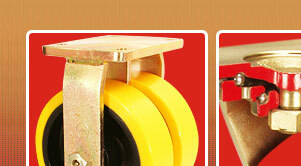 Tread options: Anti static : Conductive wheels are available.